I know some of you, like me, have been eager to see my inversion results so here they are!!! In the first picture, my crappy little ends barley reached the 30 in mark with pulling, and in the second picture you can see my crappy little ends barley reaching the 31 in mark without me having to pull em. So yea, I’d say it worked even though I didn’t do everything exactly like I should have. I also forgot to heat up the oil every time, to be honest I think I did it like once lol oh well. Then on like day three I read somewhere that you were supposed to invert 2x’s a day (which I am still not to sure on) But if so, I did that wrong and I only did it once a day for exactly 4 mins. 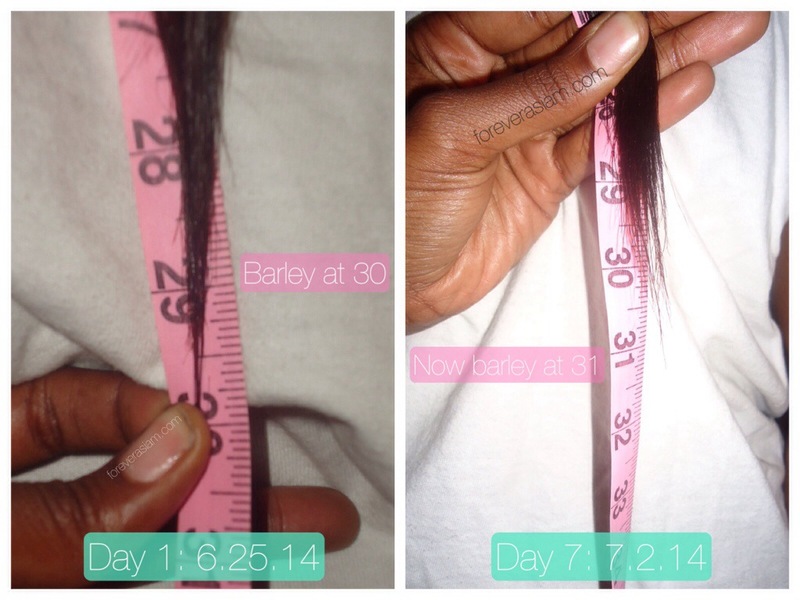 So even though I only did it 5/7 days, didn’t heat the oil, and only did it 1x a day I still saw results and got around an inch of growth. Needless to say, I AM SHOCKED. I used these oils plus some coconut oil and filled my Roots Only bottle to the 1oz mark. (which was very little. I used like 1.5 oz in the whole 7 days ) I also added 3 drops of tea tree oil. 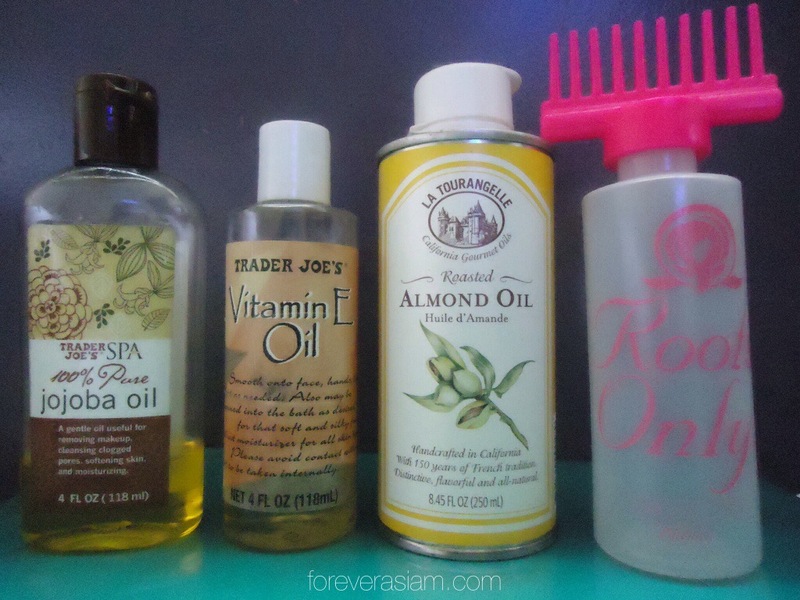 I applied this mix to my scalp and massaged for 4-5 minutes before inverting for 4 mins. I initially did not like the feeling of inverting because I think I got up too fast the first day (even though it was pretty slow) and ended up with a headache for a little bit. The next day I did it and got up 3X’s even slower than I did before and that helped tremendously. So remember, don’t just shoot up after the 4 minutes, get up helllllaaaa slow lifting your head up last so as not to pass out or anything crazy. Yes the inversion method worked for me. Yes I did it wrong and still got results. Will I be doing this again? Maybe. I am probably just going to go and cut that little inch off my crappy ends tho since it didn’t take too long to grow anyway lol. So there you have it! The inversion method! Id say if your healthy enough to do it, try it out and see what happens! Wow! That’s impressive. Who knew while hanging upside down as a kid I coulda been growing my hair? Haha. I did the inversion method too and I did see some growth on my head. It’s very peculiar that it works. It really is! 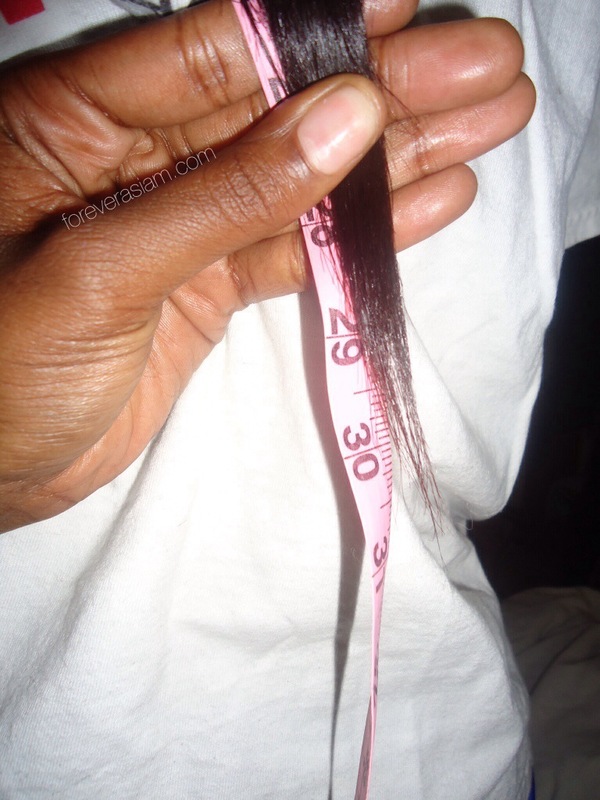 I am still kind of in disbelief and not too sure how it works exactly lol like is it growing during the inversion? Or at night when u sleep?